Interested in FREE training? Don’t miss this! 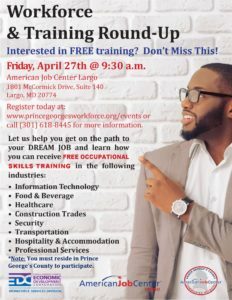 *Note: You must reside in Prince George’s County to participate.